Steve Phillips’ plan to turn Ohio permanently blue is clear. 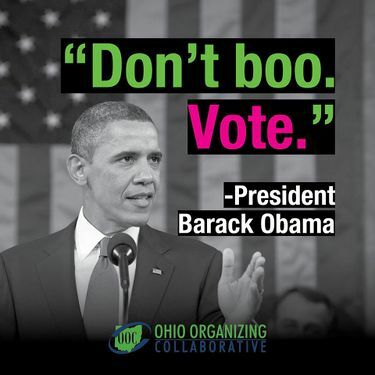 Use the Marxist Ohio Organizing Collaborative to maximize the minority vote. Use leftist lawyer Subodh Chandra to thwart any GOP attempt to clamp down on illegitimate voting. Time and rapidly changing demographics will take care of the rest. 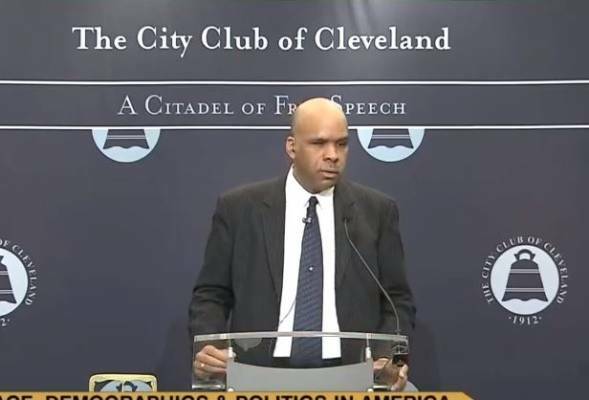 In an address to the City Club of Cleveland Ohio on January 10, 2014, San Francisco lawyer and Democratic Party power player Steve Phillips laid out the simple arithmetical basis for his emerging “New American Majority” – aka socialist One Party State. Latinos, Asian Americans, African Americans, Native Americans, and mixed-race Americans are now 36% of the population… Which brings us to another very important, yet historically neglected and overlooked minority group in America — progressive whites. In terms of U.S. politics, people have always thought that there were too few progressive whites to matter. But with the growth of the Latino, Black, and Asian populations, that is no longer the case. .. Going back to Jimmy Carter’s election, we see that anywhere from 34% to 48% of whites have voted for the Democratic candidate for President. That’s an average of 41% of Whites voting Democratic. And, so, back to our arithmetic, 64% of the country is White, and 41% of those Whites are progressive, that means that progressive Whites make up 26% of the entire country. If you add that 26% to the 36% who are people of color, you get 62%, a clear majority of the United States. The obvious comeback is that many “People of Color” are conservative. Phillips has that covered. The data shows that the vast majority of people of color vote Democrat. In the last election, 80% of people of color voted Democratic. 80% of the entire People of Color population is 29% of the entire country’s population. If you add that 29% to the 26% of the country that are the white progressives, you get 55%. 29% + 26% = 55%. That is the new majority in America. And Phillips is right. Obama proved this twice. If the Democrats hadn’t depressed their own base with the worst possible candidate in 2016, and Donald Trump hadn’t been so politically incorrect, Phillip’s math would have carried the day again. We would have a far-left Democratic President today, and probably forever. This also explains why the left hates President Trump with such intensity. If the President can “build the wall,” reducing the flow of drugs and illegal alien labor into American communities, many black and American born Asian and Latino voters will abandon the Democratic Party – for good. The Donkey, not the Elephant, will make the endangered species list. Whichever side wins the 2018 and 2020 elections could dominate this country for a very long time. Steve Phillips is working hard with mega-rich leftists, progressives and communists to tilt the balance in the left’s favor. Ohio, one of the most important “swing states” in the country, is an important target for this cabal. Phillips’ speech to the City Club was organized by prominent Cleveland lawyer Subodh Chandra. Phillips almost certainly met Chandra when they were both active in student politics in the 1980s. At Stanford University Steve Phillips was closely associated with the pro-China League of Revolutionary Struggle, was active in the Black Student Union, and was a leader in 1984 and 1988 of the Jesse Jackson/Rainbow Coalition wing of the Democratic Party. In 1988, Subodh Chandra was co-chair of the Stanford Democrats. For the last several years Chandra has served on the Board of Steve Phillips’ PowerPAC+. Like Steve Phillips, Subodh Chandra was a very early and active Obama supporter, hosting fundraisers when the junior Senator from Illinois was still a longshot to beat Hillary Clinton for the Democratic nomination. Chandra was also a 2006 candidate for Ohio Attorney General and presently serves on a Special Ohio Advisory Committee to the U.S. Commission on Civil Rights. 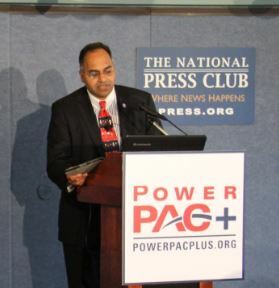 In recent years, Subodh Chandra has played a significant role in Phillips’ program to mobilize millions of new minority voters to the point of forming an unbeatable “New American Majority.” As Ohio Republicans have worked hard to minimize illegal voting, Chandra has fought to enable it. In 2006, Ohio adopted a law allowing poll workers to ask voters whether they were native-born or naturalized citizens, and to demand voters to show proof of naturalization. This was a blatant attempt to restrict the immigrant vote in Ohio. Luckily, Subodh and his law firm challenged the law alongside a number of other voting rights advocates, and a federal court struck it down as unconstitutional “in the strongest terms,” Subodh said. 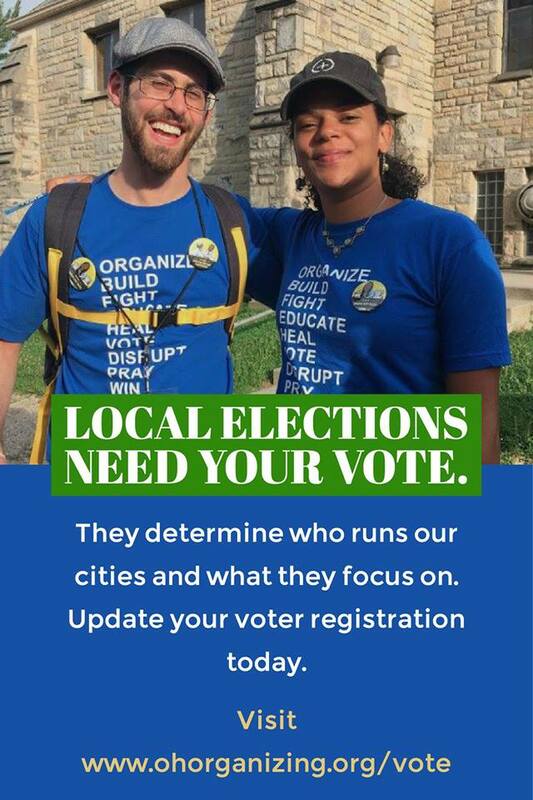 Northeast Ohio Coalition for the Homeless is affiliated with the Ohio Organizing Collaborative (OOC), a state-wide voter registration operation staffed largely by Freedom Road Socialist Organization supporters. OOC was founded in 2007 by Kirk Noden, an alumnus of the Alinskyite Industrial Areas Foundation, and several ACORN activists. The goal for the OOC is to organize Ohioans and the Midwest citizens into a progressive movement. Mass voter registration among minority communities is OOC’s stock-in-trade. To put that in perspective, George W. Bush won Ohio by just 119,000 votes in 2004, and Barack Obama’s margin of victory was only 166,000 votes in 2012. It is easy to see why Subodh Chandra wanted to keep OOC in business. Steve Phillips also has indirect ties to OOC. He and his wife Susan Sandler are funders of the Center for Popular Democracy which is a partner of OOC, the Texas Organizing Project, the New Virginia Majority and other Phillips/Sandler supported organizations. Steve Phillips has expressed little interest in this year’s Ohio Governor’s race, but he is a fan of Ohio Senator Sherrod Brown, who is up for re-election. According to Phillips, Brown is one of the few white Democratic elected officials who understand the strategic importance of the minority vote. Sherrod Brown has an impeccable far-left record. He has been close to Democratic Socialists of America for some years and was supported by DSA comrades during his successful 2006 Senate run. Steve Phillips and Sherrod Brown have crossed paths over the years. In the 2000s, Steve Phillips served on the board of Progressive Majority, a non-profit dedicated to electing progressive champions… prioritizing the recruitment and election of candidates of color, and bringing new people into the political process at all levels. Then Representative Sherrod brown served on the organization’s advisory board. 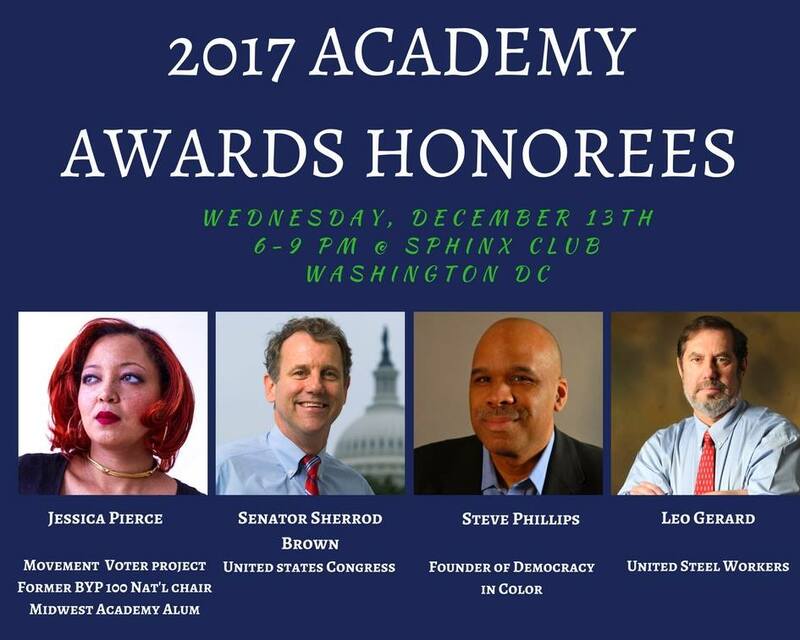 In December 2017, the Alinsky based, Democratic Socialists of America-dominated Midwest Academy presented its annual awards to Senator Sherrod Brown and Democracy in Color founder Steve Phillips. Ohio Organizing Collaborative is also close to Senator Brown. Ohio Organizing Collaborative (OOC) has been up to quite a bit lately: meeting with Congressmen & strategizing over issues most important to their members, rallying hundreds on mass incarceration, and gaining nationwide attention in their effort to win fair wages in the workplace. This month OOC leaders met with Senator Sherrod Brown to strategize around protecting Social Security, Medicare, and Medicaid issues crucial to Ohio constituents and of course folks nationwide. Senator Brown has been a leader in supporting grassroots efforts to protect our social safety net. OOC’s retirement security organizers also previously met with the Senator in December to thank him for championing Social Security and working with the OOC around long-term care issues. Trevor Loudon’s book entitled “The Rainbow Conspiracy” will be released in October 2018.